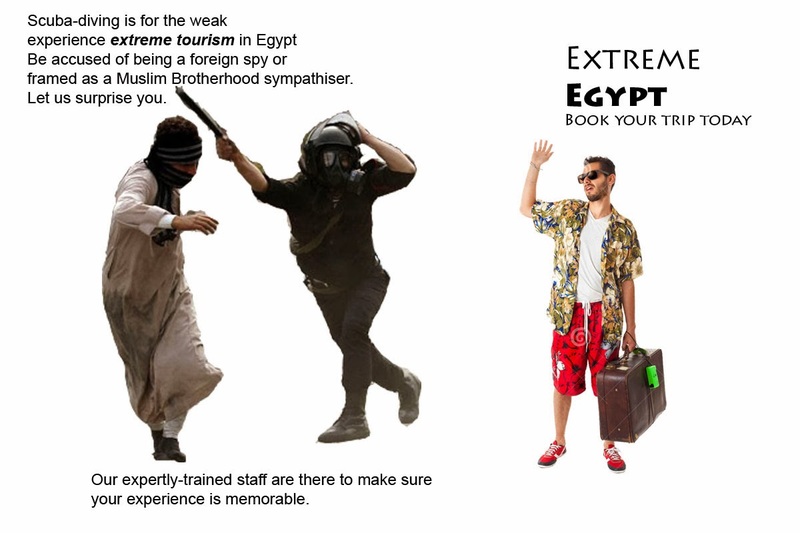 Egypt launched today an audacious 'Extreme Tourism' ad campaign aimed at attracting foreign tourists. 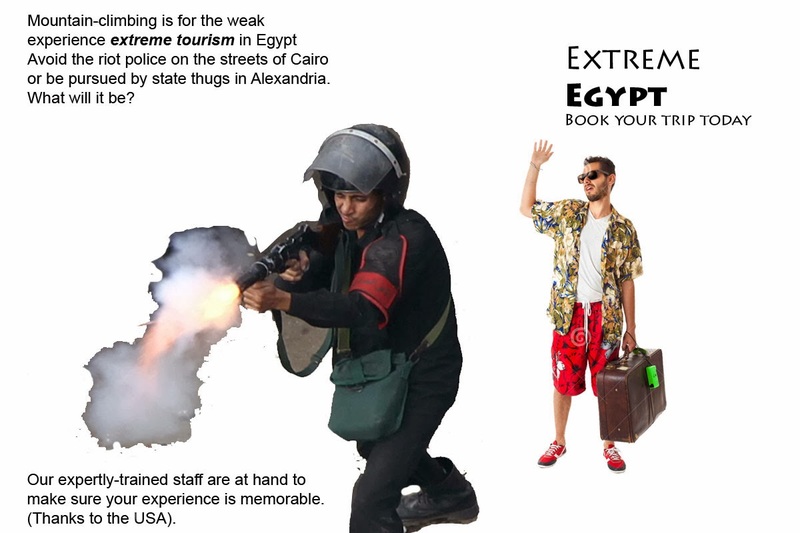 The campaign named 'Extreme Egypt' is an attempt to cash in on the lucrative extreme sports and entertainment industry by capitalizing on Egypt's reputation for danger and thrills. 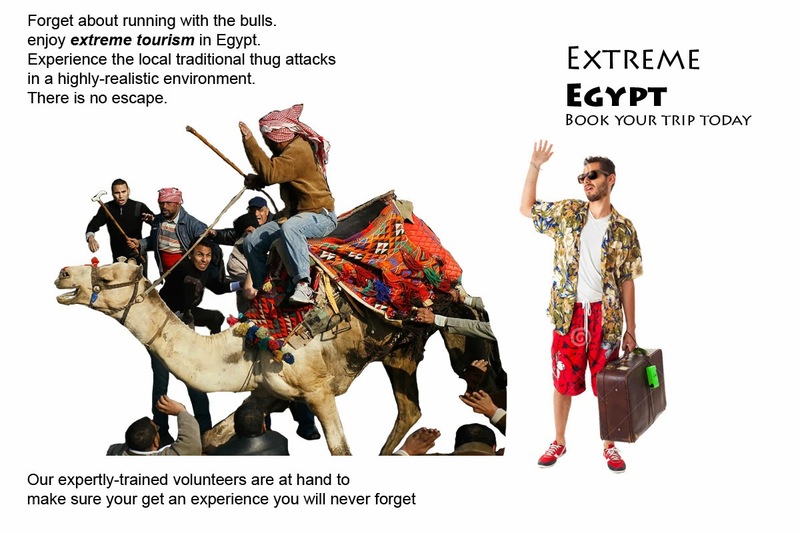 The campaign comes as a result of the declining numbers of tourists from traditional sectors and aims to attract a different type of tourist that will be drawn to the multitude of adrenaline-fuelled experiences that today's Egypt can offer. Below are some of the posters used in the campaign. Click on images to zoom. Well it's not really satire when there's no truth to it. 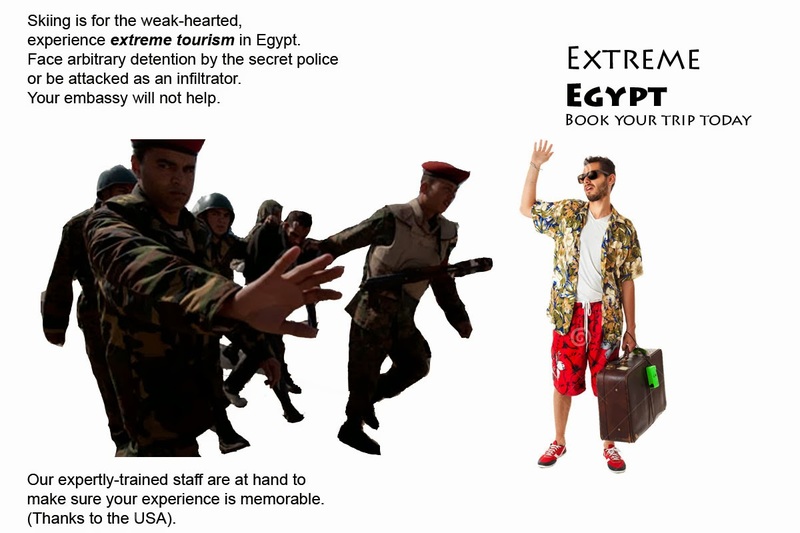 i'm in Cairo now, the locals are bummed that tourism has drastically decreased since Jan. 25th, 2011 - cheap rooms and food for someone Americans and the US government disabled. No Arab un-married woman + any nationality man allowed to check into a hotel room together. Most of the Arab women are covered and too short, etc. anyway. I heard in Indonesia (Muslim) women don't swallow, so if I wasn't waiting for word from an American girl I met in Sri Lanka that lives in India to meet me here, I would have seen the sights and headed to where Europeans hang out or left the country by now. I am looking for a great tour article for just interest and for some knowledge about here enjoyment and much more related to travel. Because I want for visit corning glass center tourism. I read your article it’s informative and have some nice valuable things for me to do on my tour. Your blog article is creating a benefit for your site users. Good work and thanks for your nice sharing. this doesn't look like a professional campaign, even the images on the posters are watermarked! Do you have source for that?